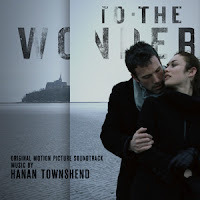 The anticipated new feature from renowned filmmaker Terrence Malick (Tree of Life, The New World), To The Wonder boldly and lyrically explores the complexities of love in all its forms. Parisian single mother Marina (Olga Kurylenko) and Midwestern tourist Neil (Ben Affleck) fall madly in love in France and relocate to Oklahoma with Marina’s young daughter to start a life together. As their relationship wanes and her visa nears expiration, Marina makes the acquaintance of a priest and fellow exile (Javier Bardem) who is struggling with his faith, while Neil renews a relationship with his childhood sweetheart, Jane (Rachel McAdams). 5/5 Just listening to the samples below, I knew I had to get this... and in the mailbox was this wonderful score by Townshend.